You know those moments that fill you with nostalgia and make you feel like a kid again? How you probably felt when you first heard that Boy Meets World, Full House and That’s So Raven were all coming back to television? Well, that exactly how I felt when I watched Reality High. I felt like a giddy kid. Before you start to wonder if Reality High is a spinoff or recreation of an old popular show or movie, let me tell you that it’s not. 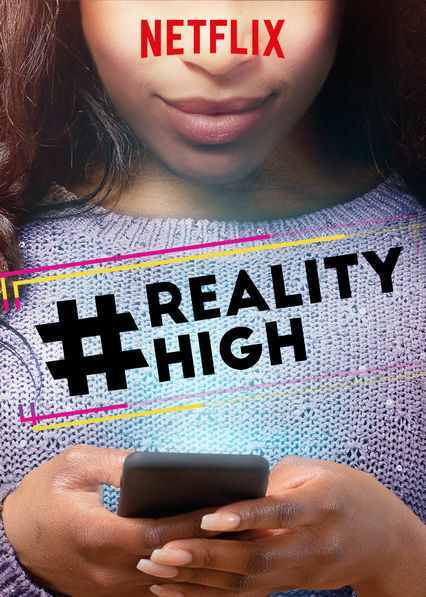 Rather, Reality High is a Netflix original film that uses most of the stock tropes and characters we saw during our childhoods. It ultimately makes you feel like a preteen again watching Disney channel, with a hint of the movie Mean Girls. The plot of Reality High is about a shy girl crushing on a popular guy. The movie toys with its audience in a way you might expect. Will the girl get the popular boy, or will he stay with the popular girl? Can you guess how the story ends? Wait! Before you move on to another article, I know Reality High seems like the typical American coming-of-age high school love story, or a love triangle that you feel like you have seen a hundred times. However, I want to tell you that there is one area in which the movie really stands out. This key difference prevented me from turning off the television and allowed me to get lost in the plot. Honestly, to my surprise, throughout the movie I found myself smiling, laughing, and Snapchatting my friend about how cute it was. So, what is it about a seemly cliché film that made me continue watching? When comparing Reality High to other movies like it, there is one key difference: The unpopular girl and popular guy were people of color. And to be honest, in that moment, I realized that made a difference. Personally, I reacted differently. Pause – I’m not saying that all the movies in the past about kids in high school weren’t good or classics. Those movies were my childhood, and I will always value and cherish them. What I am saying is that Reality High made me realize that during my childhood, preteen, and even teenage years, I never really saw a mainstream movie starring people of color crushing on one another. Movies like that were always targeted to that minority group only. And for all the people wondering if it makes a difference? I could see myself in the main character, not necessarily because I act like Dani, but because for the first time, a character’s reality didn’t seem so farfetched from mine. Whether you like the movie or not, find the movie to be too cliché or not – one thing to take away is that media representation is important. Young people of color need to see something close to their reality. Too often, television shows forget that other people need to see themselves too. I mean, as Jesse Williams or Dr. Jackson from Grey’s Anatomy once said, “Just because we’re magic, doesn’t mean we’re not real.” It’s time that people of color receive some spotlight, too. Featured image is from Netflix.